With the Global Gaming Awards London 2019 now less than two weeks away, the full Shortlist is available to view. 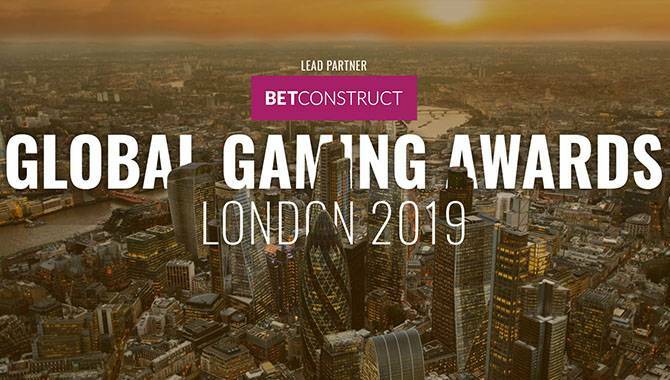 The list of nominees can be seen for all 16 categories, with the published Shortlist coming at the end of an extensive process, following a period of self-nomination and recommendations from the nomination panel and Gambling Insider editorial team. Being nominated for a Global Gaming Award is a clear sign of success for any gaming industry company, as the Awards celebrate operational excellence displayed over the previous 12 months. The Awards are also about recognising competition across multiple markets, and this is showcased in the Betting Shop Operator of the Year Category, sponsored by Inbet Games. Fortuna Entertainment Group will attempt to defend its title against the likes of Ladbrokes, OPAP and Snaitech. Competition is also strong in the Online Casino of the Year category, sponsored by Pragmatic Play, where last year’s winner LeoVegas is back again to compete with 888Casino, Mr Green and PartyCasino among others. The casino market has seen some outstanding products launched in the last year, and the best have made it into the Casino Product of the Year category, sponsored by ActiveWin. The products making it into the Shortlist include Lightning Box Games’ Lightning Horseman, Mr Green’s Live Beyond Live and NetEnt’s Jumanji. Another of last year’s winners to have been nominated again is Bet365 in the Online Sports Betting Operator of the Year category, sponsored by SG Digital, with Betfair, Bwin, Sky Betting & Gaming and William Hill also in the mix. The Awards honour achievements across the industry, including the affiliate space, through the Affiliate Programme of the Year category, sponsored by Asia Live Tech. 1xBet, ActiveWin and Betsson are among the names hoping to beat last year’s winner Bet365. The final award will highlight and reward the most outstanding individual leader to have propelled their company to success in the Chief Executive of the Year category, sponsored by Betradar. Nominees include GVC’s Kenny Alexander, NetEnt’s Therese Hillman, Paddy Power Betfair’s Peter Jackson and Kambi’s Kristian Nylén. Voting for the Awards closed earlier this month, where a panel of 50 expert judges submitted their first and second choice in each category. The nominee with the most first choice votes in each category will win the Award, and in the result of a tie, the nominee with the most second-choice votes will be declared the winner. BetConstruct is the Lead Partner of this year’s Awards. The Global Gaming Awards are powered by Gambling Insider and the voting process was officially adjudicated by KPMG Isle of Man, to ensure fairness and transparency. iGaming 2016 All Right Reserved.